MainAll NewsForeign AffairsFrench mayor refused entry into Israel. French mayor refused entry into Israel. Communist mayor who recognized 'Palestine,' sought to meet arch-terrorist in prison, not allowed into Israel. Interior Minister Aryeh Deri declined to allow the mayor of the Parisian suburb of Gennevilliers, Patrice Leclerc, to enter Israel Monday. The move follows the recommendation of Strategic Affairs Minister Gilad Erdan. Leclerc came to the Allenby Crossing with Jordan with his wife Monday claiming that they were coming to visit Israel. A thorough examination of the Population Authority's border controls revealed that in November Leclerc was part of a delegation of mayors who attempted to enter Israel for the purpose of visiting the terrorist Marwan Barghouti in prison, among other reasons. The arrival of some members of the delegation was prevented in advance after Minister Deri announced that he would refuse them entry. According to Deri, Leclerc knew that his entry was forbidden but chose not to arrange his entry before his arrival. In light of the above, in addition to the fact that he changed his story regarding the reason for his arrival in Israel, and in view of the fact that he is a of the anti-Israel BDS movement, according to information provided by the Ministry of Strategic Affairs, Deri decided to refuse Leclerc entry into Israel a second time. 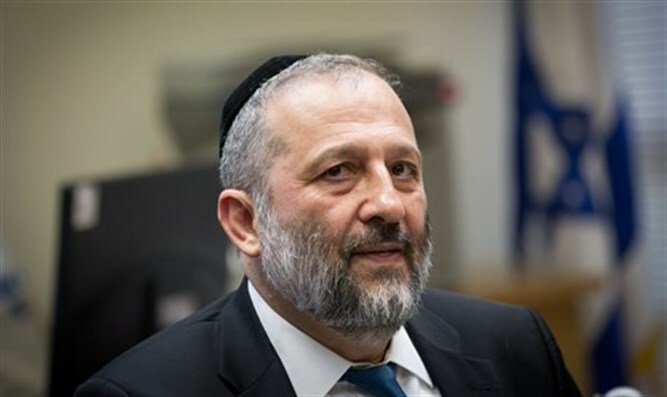 Deri said: "We will not allow anyone who acts against Israel to enter Israel in order to act and incite against the state. This is the authority given to me in the law and I will use it as long as I am required to do so and as long as there is a need to prevent the entry of people who will act to incite against Israel and call for its boycott. " Minister of Strategic Affairs and Information Gilad Erdan said: "Those who are acting to boycott the State of Israel will not enter the country, let alone in the case of someone carrying an official position ... The rules of the game have changed and the State of Israel will not restrain itself from attempts to ban and harm Israel." Leclerc, a member of the French Communist party, pushed for Gennevilliers to recognize the State of Palestine.' The symbolic recognition was rescinded in March following pressure from the government of French President Emmanuel Macron.